Around New Year it is traditional to take stock and make resolutions. 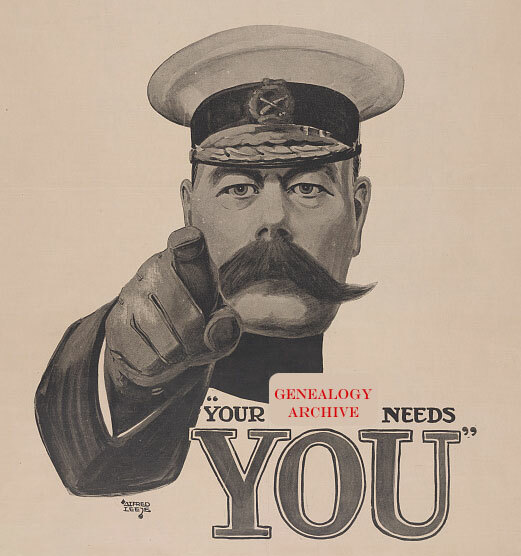 The findmypast Start Your Family Tree Week and GeneaBloggers Genealogy Do-over are current manifestations. There is no real reason to start a fresh phase at New Year. Dear Myrtle considered Starting Over back in June 2014, because she wanted to create better source citations and bring together all of her information in one place. Genealogical research is iterative, so ideally, each phase builds on knowledge previously gained. Unless your previous work is in a very bad state, I suggest a re-appraisal with some blunt honesty rather than starting from scratch. You probably did do some good research, and learning to recognise that is important. It has often been repeated that you should work from the known. In the excitement of early discoveries you likely skipped over recent generations and dived in with grandparents or great-grandparents. Stop a moment. Who is the person you know the most about and have the most documents for? That person is you. How well have you documented your own life? Yes, you know all about it, you were there after all. That gives you a huge advantage as you know why documents were created, and the procedures involved. That understanding brings insights that would be much harder to come by using older documents from previous generations. Even if you have been researching your family for years, this is an exercise worth undertaking. You will likely easily find important or current documents that serve to identify you, or demonstrate rights and assets (e.g. passport, driving license, current bills). What about the other stuff? Where are you on the spectrum between minimalist and hoarder? Knowing what you have and where it came from is a vital first research step. A list of what you have, like mine is a starting point. Your own personal documents have an impeccable provenance – they were created because of your interactions with the world. But only you know about that context, so add some description to you list. Fill in the blanks that would really help a future researcher. For example, who was the Aunty Freda who sent you that holiday postcard depicting an elephant? For some more guidance on archival concepts take a look at Provenance of a Personal Collection – Archival Accession, Arrangement and Description. Note that I have not yet done any analysis of what the documents contain, made any plans to seek more information, created source citations, or come to any conclusions. I have just taken stock of what documents I have that are about me. I won’t describe every document at once, just a few at a time. Once I have recorded all that I know about a document, I will have the basis for a source citation. I certainly am not going to commit to a particular citation style, because I have several different audiences who have different understandings and expectations. Gradually, my personal archive will grow along with an archival-style catalogue. I plan to not need a future do-over! I have actually done what you suggest. Started with me and my husband. Then gone back one generation, one person at a time. It was surprising what I’d missed when I began doing my research many years ago. I do think I will go through one more time. I only went back to my great grandparents and families because I felt they were probably the ones I had missed the most on. Anyway, this is good advice. I personally have no desire to do a complete do over. The first time you examine an unfamiliar kind of document you may only extract half the information it contains, even less if there are any challenges of handwritting, language or terminology. With experience and education you improve. Reviewing research I did early on is usually a mixture of “What was I thinking?” and “Oh, I did that bit right”. Love this list of personal documents! I would make a few changes for Canada, but the approach is very helpful. Thanks for sharing. I agree that each country will produce a different set of personal documents. Which ones are different for Canada? Earlier generations also produced different documents, if you are lucky enough to inherit them. Personal documents are gold. Only a small proportion of the information in them might be recorded by the state and only a tiny proportion of state documents are preserved in national or county archives. I began a “Genealogy Do-over” a few years ago (i.e. starting a new family history database from scratch, making sure each fact had a source and that each source citation was well crafted) but admit that progress has been somewhat slow and faltering. I found that starting with myself and my immediate family, whilst necessary, was more of a hinderance than a help. The problem being that I know a lot about my life but don’t necessary have the documentation to hand (a lot is in my parents’ attic) and the documents I do have often don’t fit any standard model for source citations. The result was that I became so hung-up on the details of sourcing things properly that I put the whole thing aside for several months in frustration. When I decided to record only basic facts for myself and my parents and skip to my grandparents things became a lot easier and I started actually making some progress. Obviously at some point I will want to record my own life in more detail and I make a point of keeping any documents that will help me to do this. I appreciate that not everybody wants or needs to do a “Do-over” but for those attempting this I would argue that by beginning with yourself (and documenting more than the basics) you are actually starting with the most difficult rather than the easiest person! From what you say, I hear two commonly encountered obstacles – access to documents and inadequate source citation models. Lack of easy access to documents that are in a family attic wasn’t a significant issue for me. That reflects events of my life, especially the timing of my becoming a home owner in relation to my parents movements. I share your frustration with source citations. Your approach is a good example of modifying research strategy by putting difficult to access documents into a future research iteration. I agree about not having to ‘start over’, and would caution anyone thinking of doing it. You can always go back and improve on what you’ve found/collected, but never discard it or ignore it. OT: I’m surprised not to have found anyone setting a New Year’s resolution of adding citations for their sources. I’m sure there are, and it’s always a good idea, but I do wonder how many people create proof statements, or a full proof argument. Very often, the citations by themselves are not enough, and even if they were shared then it may not be obvious how they relate to your conclusions. Interesting that my northern neighbor says she would make a few changes for Canada. At a first read, I thought that you list fits the U. S. very well. There are some I don’t have, so I guess I was ignoring those. I need to reread you list more carefully. Anyway, you, Hydrangea, and I are following DearMyrt’s idea of being aware of our national differences, while sharing our hobby across the world (well on3 continent and an island, and all English speaking). In all the online conversation about do-overs, I’ve been a bit overwhelmed. Your suggestion makes sense to me, and it’s something I have not done. So I’m starting my do-over by collecting as many records as I can for myself and my husband. Then I’ll go on from there. Thank you. What a great post! Well I am a hoarder of the first degree. I inherited my father’s genealogical papers recently when he moved house and that included quite a bit of what you talked about. Really fascinating stuff to me because you think you know someone that close but every bit helps fill it out – yes? I found you via Jill Balls excellent GAGs.